After jumping in both of our arenas for 70 minutes kids will go into one of our party rooms and create their very own tye dye t-shirt! Kids shirt sizes are available. OPEN JUMPS/SPECIAL EVENTS - Groups of seven or more children must be pre-paid in advance. All pre paid jumps/events are non refundable or transferable. Spaces in open jumps are only held for the amount of children pre-paid for. $14.95 per child Adults are always FREE! Kids will make a special candy necklace with up to 40 pieces of candy! 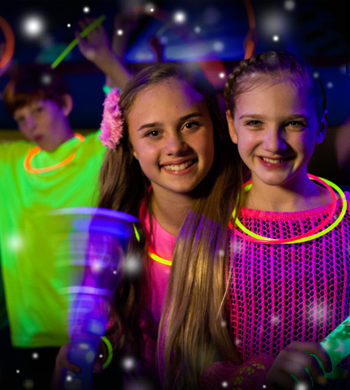 After jumping for in both of our arenas for 70 minutes you will go to one of our party rooms to make your very own candy necklace! $13.95 per child Adults are always FREE! Come join us for an open jump 1st thing in the morning! 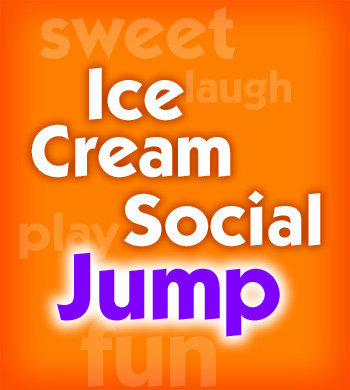 Wear your PJ's jump and receive a FREE OPEN JUMP return pass to our location for a regular Open Jump ($10.95 value). This is fun for the entire family. Please don't forget your socks.... FREE passes are awarded to regular priced admissions only; they are not awarded to patrons using vouchers, free passes or any coupon promotions. $12.95 per child. OPEN JUMPS/SPECIAL EVENTS - Groups of seven or more children must be pre-paid in advance. All pre paid jumps/events are non refundable or transferable. Spaces in open jumps are only held for the amount of children pre-paid for. 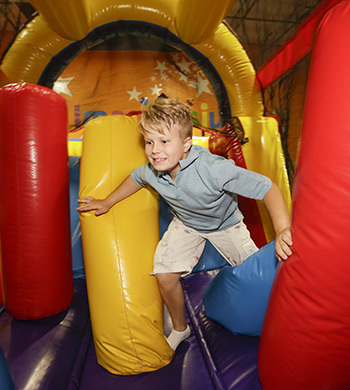 Come join us for an open bounce with a twist. 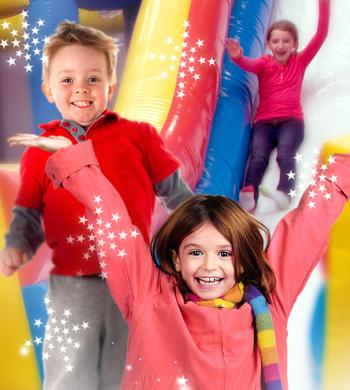 Jump with the most ultimate fun bounce experience ever. 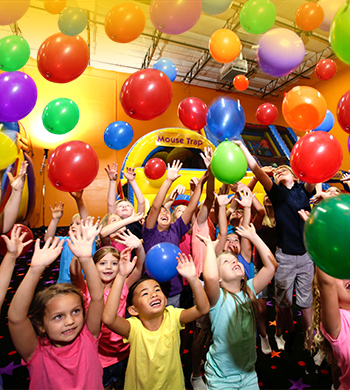 Then we will take you to our colorful party room and you can create your own Ice Cream Sundae $13.95 per child. OPEN JUMPS/SPECIAL EVENTS - Groups of seven or more children must be pre-paid in advance. All pre paid jumps/events are non refundable or transferable. Spaces in open jumps are only held for the amount of children pre-paid for. 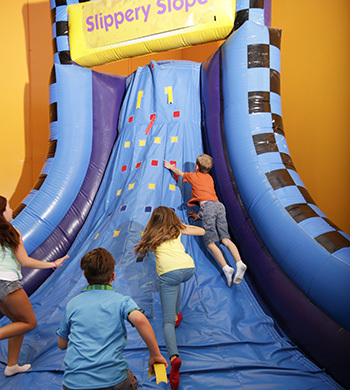 Come play on our giant, soft, fun-filled interactive inflatables for an hour and 10 minutes! Let the kids jump all that energy out!